Unique Stylish Purses | Miche Bags: Miche Purse Sale! 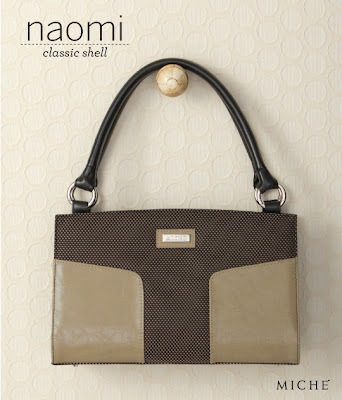 Naomi Classic Shell, Stylish Black & Tan Pattern. Miche Purse Sale! Naomi Classic Shell, Stylish Black & Tan Pattern. Naomi is Sold Out and now Retired! Casual sporty styling in rich shades of brown and black give Miche's Naomi Shell for Classic Bags its distinctive flair. Intricate black and tan patterned fabric juxtaposed against simpler tan faux leather accents makes for a contrasting design that is truly one-of-a-kind!